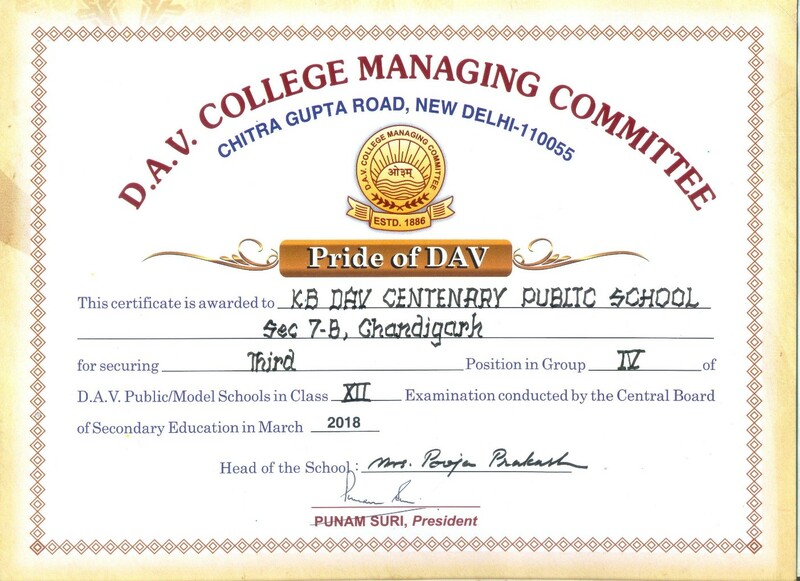 The paramount commitment at KBDAV-7 is to meet the needs of the 21st Century Learner. Our Vision aligns itself with the shift in global economy, environment and society. The core values which have defined the past shape our future and enable the learners to achieve their potential within a learning environment, which is positive and welcoming. The school focuses on continuous improvement and building a culture of Achievement. It nurtures a passion for knowledge, creativity and sports among its learners. The school enlists the support of the parents, who are empowered to play an active role in their child’s education. The community collaboration remains singularly important in achieving and sustaining excellence. The shared vision of the school is to provide a personalized and student-centered approach to learning.